Terrible movie sequels you gotta watch! Greed is good. Well, maybe not so much. Take movies for instance, through the years a ton of movies became box office hits. These movies made money for the stars, creative team and especially the studios. This is where the problem lies. Movie studios get greedy and decide a sequel is a great idea, but audiences disagree. Sometimes however, the sequels are so bad, you gotta watch them. Here’s a quick list of some of my favorite terrible sequels. (1997) Starring: Sandra Bullock, Jason Patric and Willem Dafoe. For reasons that will forever remain a mystery, I saw Speed 2 in the theatre on opening day. 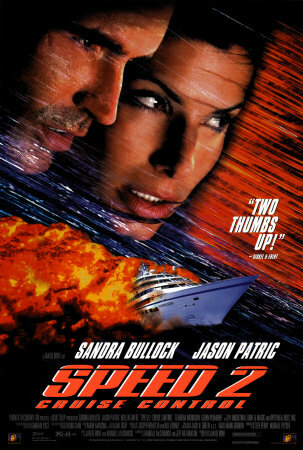 Sure, a sequel to 1994’s Speed sounded like a good idea, but a slow-moving cruise ship? As I sat at the General Cinema in Braintree MA, I wondered “Why don’t the passengers jump off the ship?” The films comic relief character, Dante, explained to Sandra Bullock that if they jumped off, they would get sucked into the propellers. Ahh, of course, silly me for not thinking of that. The villain in the movie was played by Willem Dafoe who is sadly wasted here. From what I understood, he developed the ship’s computer system, but was fired because he got sick. Willem Dafoe wants revenge, so he hacks the ship’s computers, and sets up explosives all over so he can rob the vault. Hey, it all revolves around money. The hero of the movie is played Jason Patric, he tries to save the ship, the passengers and the girl. He does what he can, but his character is bland. Also, a 14 ear old girl falls in love with him for some reason. Maybe it was supposed to show us he’s a caring guy? who knows. Speed 2: Cruise Control is a terrible movie, but when it’s on tv I can’t help but watch it. The movie is filled with so many movie clichés you lose count. The screenplay alone is hysterical, and it’s not supposed to be. How bad was the script for Speed 2? So bad even Keanu Reeves turned it down. (1983) Starring: John Travolta, Cynthia Rhodes and Finola Hughes. The best part of the Saturday Night Fever sequel is the end scene in which John Travolta says “You know what I wanna do? Strut.” I recommend you watch that scene and skip the rest of the movie. In case you want to see the movie I should warn you Sylvester Stallone wrote, produced and directed this flick. But wait, there’s more! Sylvester has a blink it and you’ll miss it cameo in the opening, and his brother frank did the soundtrack. 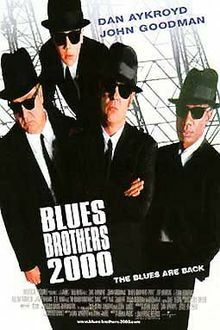 The original Blues Brothers flick is a comedy classic, and one of my favorite movies ever. 18 years later Dan Aykroyd thought the time was right for a family friendly sequel. He was wrong, a post John Belushi Blues Brothers does not work. Adding a kid to the band does not work. Replacing Belushi with John Goodman does not work. The cameos in the original added to the overall storyline, while the sequel’s cameos feel forced and in most cases are not needed.Bues Brothers 2000 has some decent music, but even that gets old afer a while. (1987) Starring: Christopher Reeve, Gene Hackman, Mariel Hemingway and Margot Kidder. You will belive a franchise can die! Think you’ve seen low-budget movies? You ain’t seen nothing yet. Superman IV: The Quest for Peace is the K-Mart version of a Superman movie. The special effects are the worst in the series and the villain looks like Patrick Swayze in Point Break. 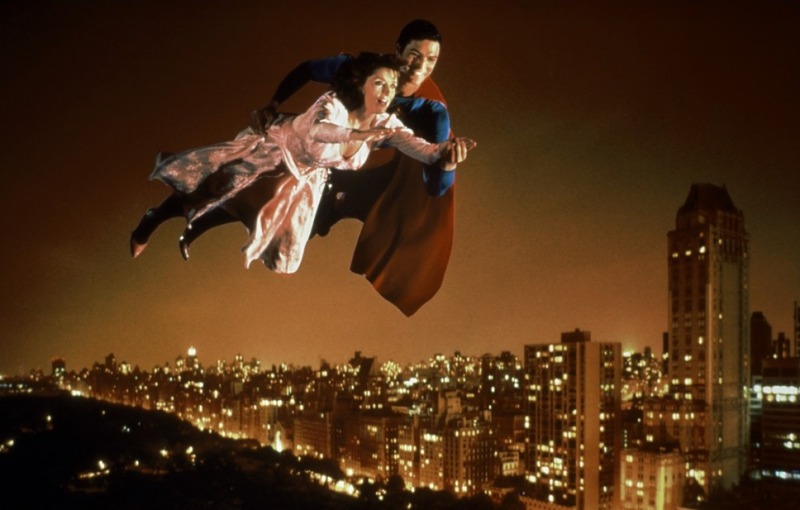 The movie looks and feels cheap because it is, and the Superman film series has yet to recover. It’s a shame this was Christopher Reeve’s last Superman movie, and a disgrace it ever got made. While the nuclear weapons storyline is intriguing, it never really goes anywhere. Its more of a set up for introducing the villain than anything else. By the way, putting Margot Kidder next to Mariel Hemingway didn’t do Kidder any favors. There’s many more movie I could at to the list, and maybe one day I’ll do a sequel post. Hopefully it’s better than the original.